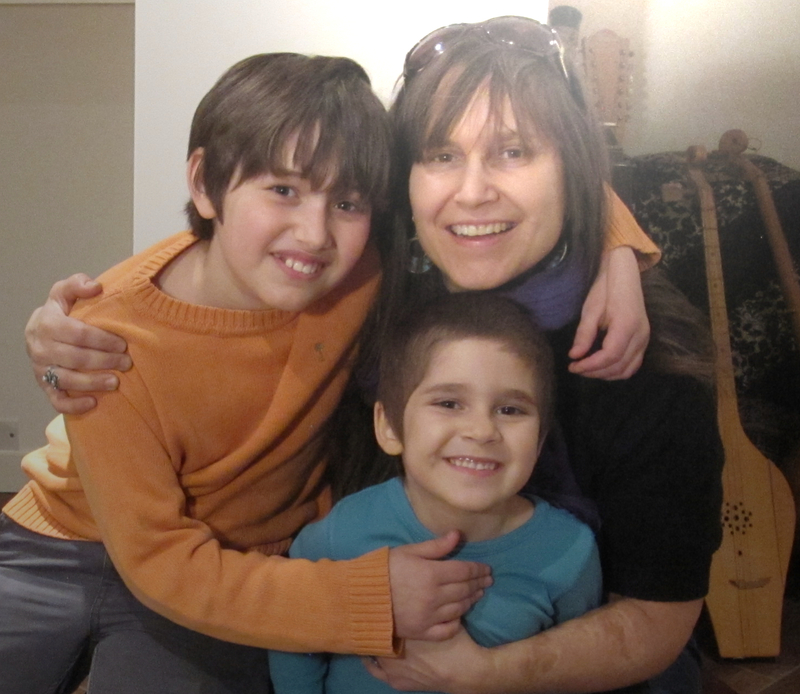 Andrea Kuzmich is an award singer, a teacher, an ethnomusicologist (PhD candidate at York University), and mother of 2 boys (5 and 10 years). Her eclectic musical activities defy her conventional classical beginnings. Besides grade 8 piano RCM, choral singing, and performances in four different Canadian Opera Company productions and as a cellist with the McMaster Symphony by the age of 16, Andrea has: sung in a Congolese Gospel Choir; studied Balkan folk music, South Indian singing and drumming, and West African drumming; performed in Big Bands, small jazz combos, as well as contemporary new music ensembles; and specializes in the haunting and ancient harmonies of Caucasus Georgia. Her PhD in ethnomusicology bridges all this diversity into a cohesive cross-cultural understanding of how musical practice is essential for spiritual, social, and personal well being. Andrea extends this understanding practically in MusiCamp where campers get a chance to explore the wonders and ecstatic moments of music through fun and interactive activities that overcome inhibition and intuitively develop a host of cognitive and social skills associated with music making. This entry was posted in Andrea Kuzmich, Camp Instructors and tagged Andrea Kuzmich, camp, ethnomusicologist, fun camp, kid's music, kids, music activities, music camp, musicamp, singer, summer camp, summer music, toronto camp. Bookmark the permalink. ← What are Soundwalks? Soundscapes?